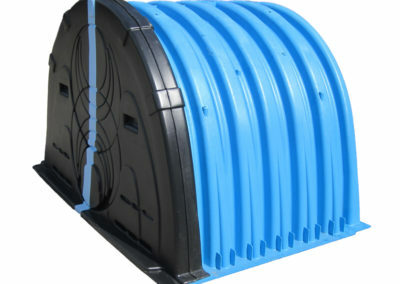 CONTACTOR & RECHARGER STORMWATER CHAMBERS - CULTEC, Inc. The CULTEC Contactor and Recharger chambers replace conventional stormwater management systems such as ponds, swales, pipe and stone trenches or beds, or concrete structures. The chambers may be used for drywells. 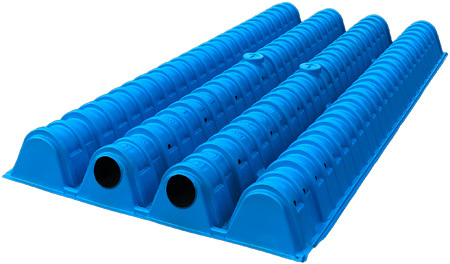 They may be installed in trench or bed configurations according to site restrictions or client preference. Contact area is maximized by the fully open bottoms. The chambers are typically installed subsurface beneath parking areas to capitalize on use of space, however, they may also be placed in grassy areas. CULTEC offers the largest variety of chamber sizes and therefore is able to accommodate almost any site parameter whether it is big or small. Sizes range from 8.5” to 48” tall. 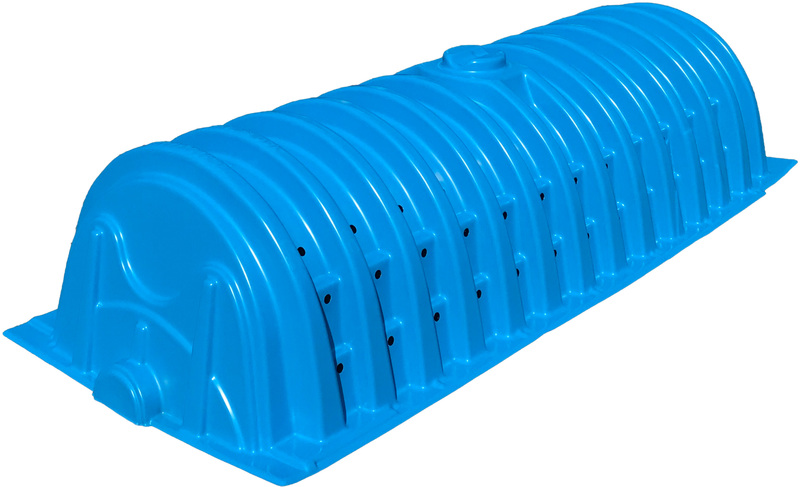 Chamber storage capacities range from 0.819 ft³/ft to 17.66 ft³/ft. CULTEC’s Recharger series are higher profile, larger capacity chambers. 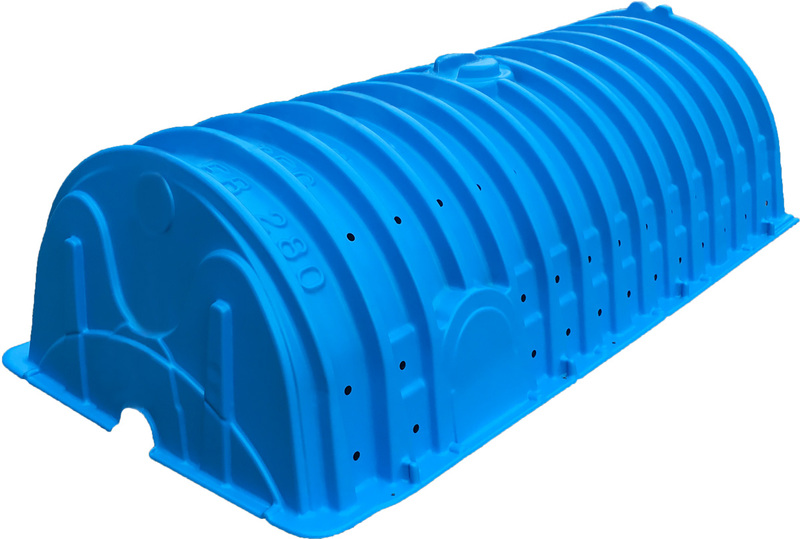 Typical CULTEC stormwater systems are designed by using the largest chamber that meets the site’s depth constraint. By doing so you reduce the number of chambers and land area required. You maximize storage volume at the given workable elevations. 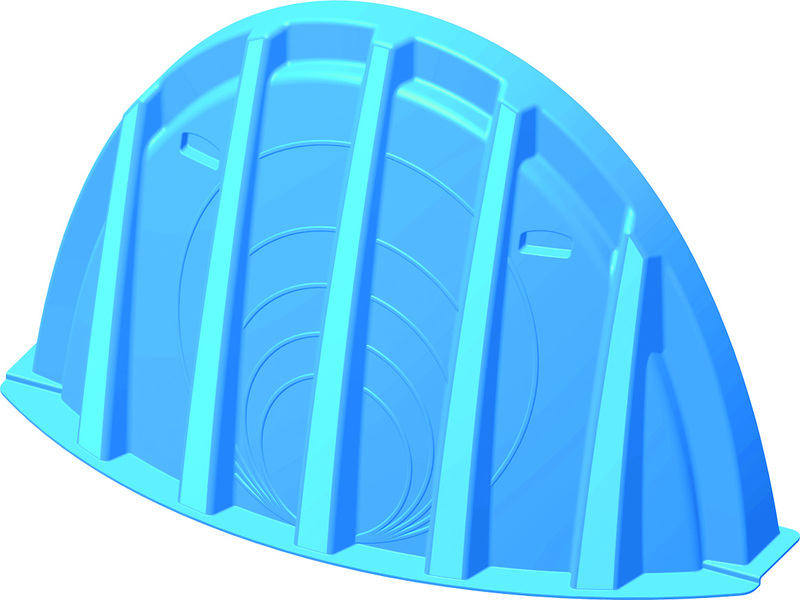 CULTEC chambers may be installed in multiple layers to accommodate tight site constraints. 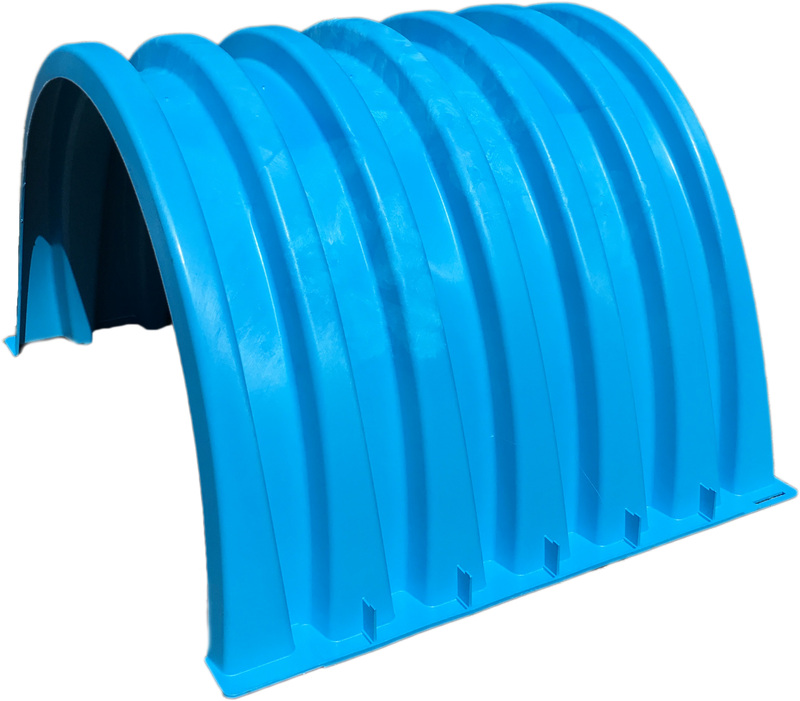 The Contactor Chamber series consists of lower profile, lower capacity chambers and are typically used for installations with depth restrictions or when a larger infiltrative area is required. Conventional manifolds must be used with all models in this series except the Contactor 100HD. The Contactor 100HD has the side portal internal manifold option. The Recharger series consists of higher profile, higher capacity chambers. 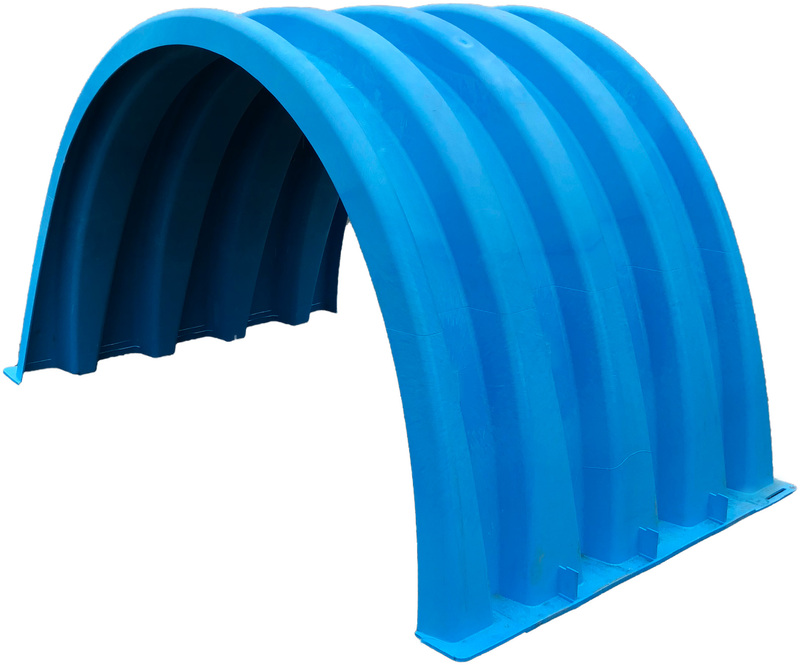 When using this series, less chambers are required resulting in less labor and a smaller installation area. Heavy Duty (HD) versions must be used for traffic applications. 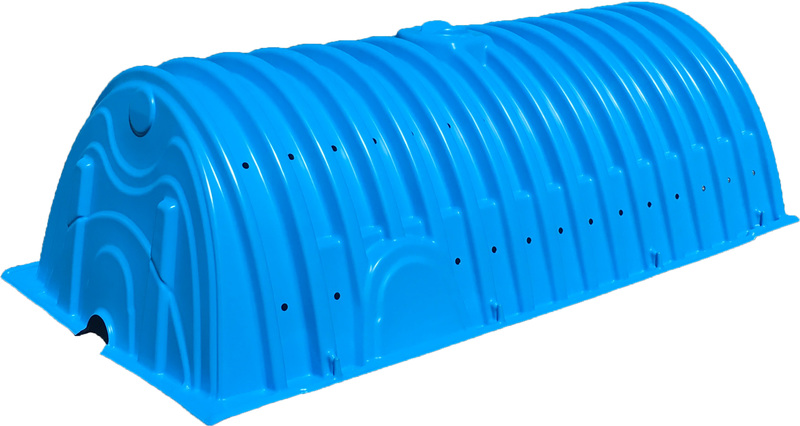 Our most popular and cost-effective models used for stormwater are the 100HD, 150XLHD, 280HD, 330XLHD, & 902HD. Other models are available but not listed. Please contact our Technical Department at 203-775-4416 if the models listed below do not fit your parameters.